Back massagers have seen substantial technological advancements in recent years which has made them great for reducing pain and discomfort. Professional massage therapists, chiropractors, physical therapists, and doctors have even recommended these products as effective pain relievers. There are a large number of products available on the market which can make it harder to make a buying decision because of all the choice. So we’ve created this guide to show you the best back and neck massagers on the market. 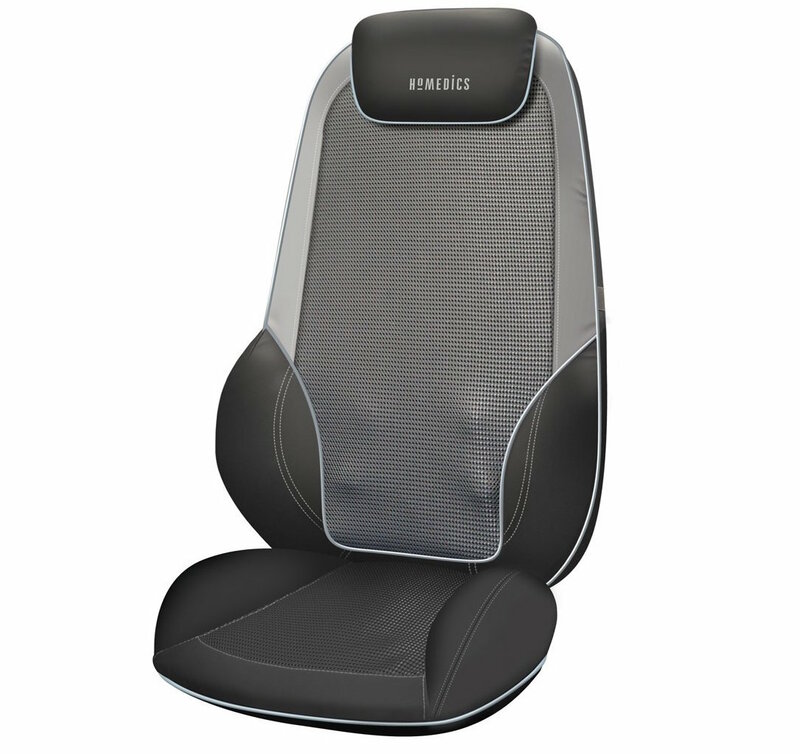 HoMedics are one of the leaders in the home massage industry and have built on this reputation with this shiatsu massage chair which is an upgrade on the classic Shiatsu max product. This has a new sleek design and additional features to bring you a high-quality massage experience. There are two double massage nodes built into the chair to give a deeper massage into the back and shoulders. The massage chair has an ergonomic, flexible massage mechanism which makes it suitable for people of all sizes to sit comfortably on the unit. There are easy to use controls which allows you to adjust the height and width of the massage reach, while the adjustable headrest ensures that it fits precisely to your body size. There’s a demo setting which walks you through all the settings programmes, and with its 14 different programs, you’ll be able to find the one that suits you best. For instance, there are full back massages as well as programs that allow you to focus on a specific area. This massage chair will not look out of place in even the most design conscious households, with its contemporary grey colour tones and its plush luxury finish. In terms of safety, there is a strapping system that means that even if you fall asleep from the relaxation, you won’t slip off. Heat can be added to the experience which improves the quality of the massage as it can penetrate further into your muscles. The material that you sit on also has a vibration massage that can be felt in your upper legs. Once you’ve finished using it, the unit can be folded up stored away using a hanging loop. 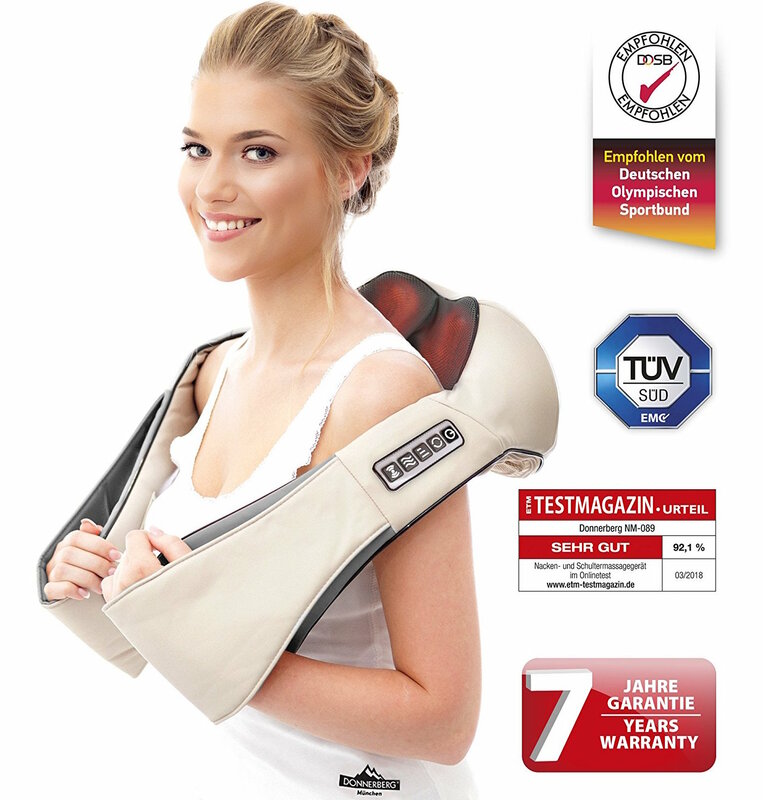 Donnerberg has taken quality to the next level with their back massager that is manufactured to German quality standards while also gaining recognition and recommendations from the German Olympic Confederation. The unit provides elite relaxation, so you never need to book a massage ever again. The main benefit of the Donnerberg massager is that it's not just for the back but can be used on the entire body including the neck shoulder, upper back, lower back, foot, leg, arm and belly. 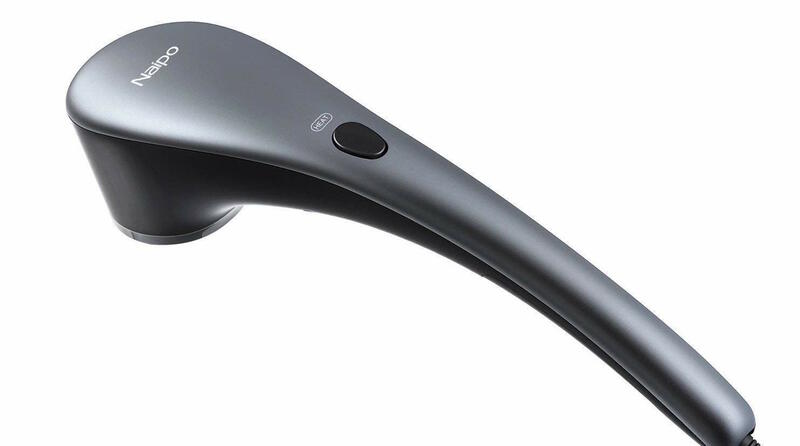 The massager gives the feeling of an actual real-life natural hand massage and is modelled on the Shiatsu massage using infrared heat which has a positive effect on both blood circulation and muscle tension. The heat is optional and can be toggled on and off. Also, you also receive a 7-year warranty with each purchase giving you that added peace of mind. The unit is also extremely portable so you can bring it wherever you need a massage, whether that be your home, office or car and comes with a car adaptor. In terms of customisation, the unit has eight flexible massaging heads, two directions of rotation, three rotation speeds and optional vibration and heating. 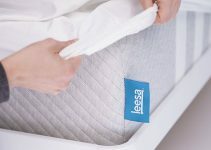 Also included are two additional covers which are machine washable so you can keep the covers free of dirt and bacteria. The Reviber Zen Physio deep tissue massager has been designed and created to deliver elite level massaging. Due to its speed and depth of movement, it provides a soothing and deep massage. It’s suitable for both home and professional use and works to relieve tension in the muscle with steady, accurate pressure which can penetrate even the tightest muscle problems that you’re suffering from. The unit is easy to use, and all you do is hold it against your muscles, it uses percussive massage, and you don’t even need to push it down and apply pressure for it to work. The massage is powered by a 3-metre power cord and is not just limited to the back and neck areas but can be used on almost any other body part including the thighs, calves and arms. The pulses are transferred into the muscles through the soft rubber massage heads on the unit and are supplied with two sets of heads. One set is larger, designed for larger body parts whereas the other set is smaller which is ideal for small specific areas like the neck. The massage is lightweight at just 1.2kgs, so it’s easy to get into position, and there are two-speed settings. Also included is a 5-year warranty as standard with every unit purchase. The Marnur shiatsu massager allows you to relax and rejuvenate your muscles with its hand kneading massage. This provides you with the chance to have a massage on the go with its AC and DC adapters so you can use it in the car, at home or work. 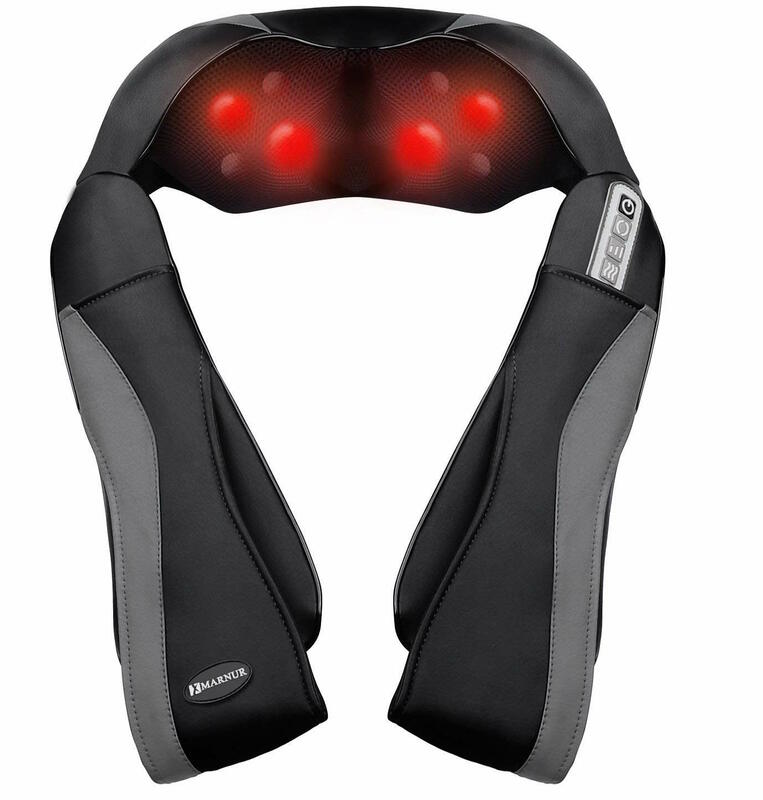 Built into the massager is eight bi-directional massage nodes with an additional option of heat which can be used on all body parts not just the neck and back to relieve pain. The massager has a premium breathable exterior made from mesh and PU leather which disperses heat more effectively but is also extremely comfortable. In terms of safety, there is overheating protection and an auto shut off function which gives you added safety. There is also a 2-year warranty issued with each unit purchased. The unit has two massage directions and the massage direction changes automatically each minute to give a better massaging effect. You also have the choice of 3 intensity levels, and the level you choose will be dependent on your preferences and the area of your body that you’re treating. Suitable For All Body Parts. 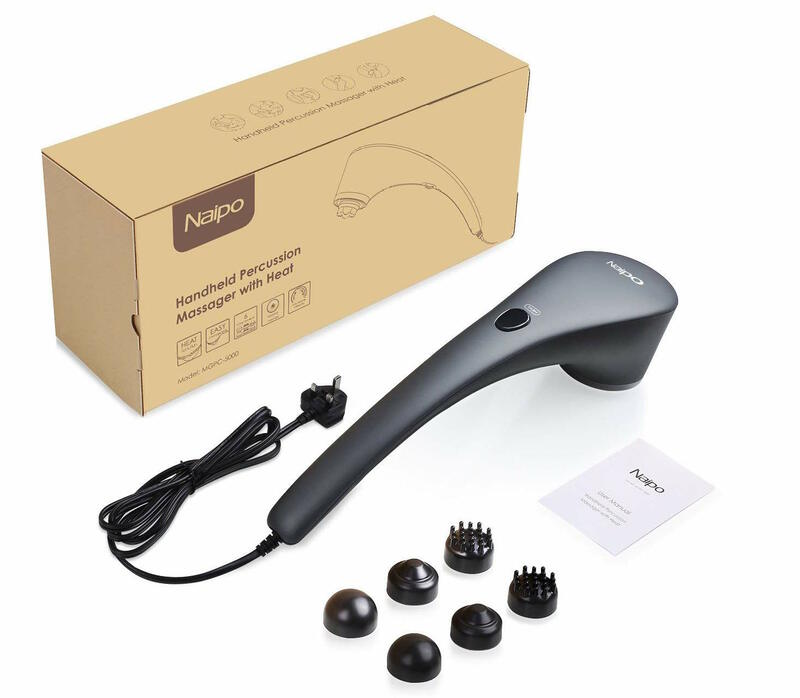 This Naipo massager gives you a variety of options to make your massage experience as personalised as possible. The unit has six interchangeable massage nodes and has three pairs of massage nodes made from silicone. The nodes provide a deep tissue massage to promote stress relief and blood circulation to ease your pain whether it’s your back, foot, leg, calf, neck, shoulder or full body. There is a range of intensity levels depending on whether you prefer a gentle massage or a higher level of pressure. The unit uses percussion frequency which can reach levels of 3800 frequencies per minute. The massager weighs just 1.2kg and has an ergonomic anti-slip design which makes it easy to use on any part of your body. You don’t have to apply pressure as the weight of the unit physically is what provides the pressure onto your muscles. There is also the option of adding heat which can further improve the healing process, also, overheating protection is built into the unit for added safety. The copper core motor is made using premium materials which give it a long life that will last several years before needing to be replaced while delivering consistently high performance. 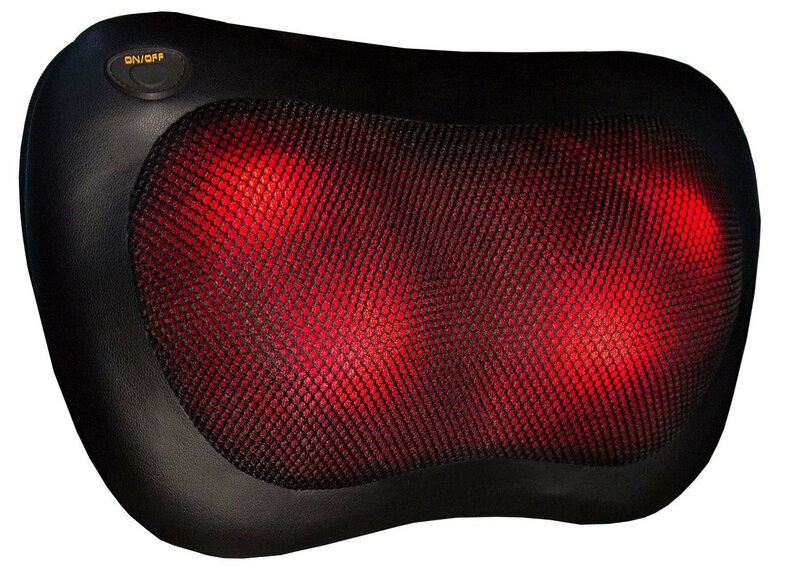 The Comfort Supplies Shiatsu Massager has four deep kneading Shiatsu massage nodes that work to alleviate muscle tightness and pain and can be used on your neck, shoulder, back and leg areas. The unit uses infrared heating which allows you to get relief deeper into the muscle tissue. There is the choice of clockwise and anticlockwise rotating nodes which give you a higher and more complete massage experience. With it being small in size it means it's portable and you can take it when you travel for relief on the go and comes with a UK mains power adaptor and a free in-car adaptor. The massage has a Velcro strap that can be adjusted allowing you to secure the cushion to your chair as you use it. Also, there is a 24-month warranty included with the massager as well as a 30-day money back guarantee if for any reason you’re not happy with the product. 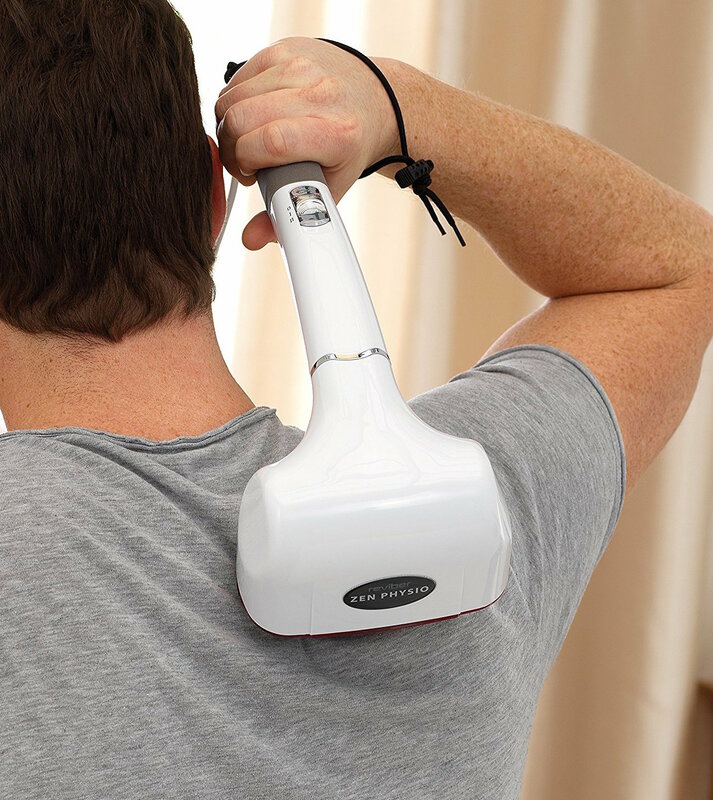 A percussion based back massager allows you to reach specific areas of your neck and back that is causing you issues. They have ergonomic handles that are used to get the unit into position, and the models are robust and have a bit of a weighty feel to them. This is so that the weight of the massager is used to provide enough pressure on to your target muscle tissue area to relieve pain. Shiatsu massage chairs are great for applying massages in the comfort of your own home. These chairs have inbuilt rollers and revolving nodules that run up and down your spine which helps to increase and improve blood circulation. All you need to do is plug it into a power source and select your desired programme using the remote. This is one of the most popular types of massage chairs because they are so effective yet easy to use. Some areas of the human body can’t be reached effectively using other types of massagers. Ultrasound massagers can get to these areas by using high-frequency waves which can go deep into the muscle tissues. The waves then improve blood circulation which then helps to rejuvenate the area that you’re having issues with. Vibration massagers do what the name suggests, and generates vibrations and allow you to set the level of vibrations depending on the amount of pain you’re experiencing. These vibrations penetrate through the skin and into the muscle which then loosens the tension. When you’ve finished using it, the treated area may also be numb which also works as pain relief, and it’s also essential to ensure that it has adjustable frequency so you can personalise the settings to your own needs. Hook and Cane massagers are handheld manual devices that are capable of providing quick short term relief. You self massage the area of your back that you otherwise would have difficulty reaching. These massagers then relieve tension along your spine which then improves overall blood flow. Kneading massagers don’t have any vibrating action but instead provides consistent pressure against the back targeting the individual smaller muscles. It feels similar to getting a massage performed where you can feel the action of the fingers massaging your muscles. The result is that your muscles are relaxed due to the improvement in blood circulation. Because of the nature of electronic products they all have the capability of developing a fault after extended use. To ensure that you’re covered in this instance, the best massagers will often provide you with warranties to ensure that if you do have issues with the device, then you can return it to the manufacturer for either a refund or repair. The length of the warranty will vary from manufacturer to manufacturer but generally range from six months to lifetime. The area that you’re trying to massage will determine the massager that is best for you. This will vary depending on whether you’re trying to target your neck, back or both. There are massage modes that are better suited for specific muscles in your body, and how deep you want to massage an area. If you’re trying to hit multiple areas, then a multi-purpose model will be better suited, whereas if you’re only treating one area, then a more specialised version is recommended. You may have had a hot shower to relieve your muscle pain, and heat therapy from a massager has the same benefit. Some massagers will either allow you to toggle the heat on or off or choose between different heat settings. Heat works to improve circulation and blood flow which leads to better flexibility and injury recovery. Are you planning to take the massage cushion around with you when you travel? If so, then you need to consider whether your chosen model is easy to carry around and fold up. Some are better suited to this, and you need to be aware that even if a massager can easily be folded up, it may still be cumbersome to carry although these heavier models tend to pack more a punch and have more massaging power. The principal mechanisms that most massagers have are nodes and rollers which is what massages your muscles and provides relief. The number of nodes can vary from two and above depending on the quality of the massager. These nodes can operate in different ways with either a constant or rotating motion. High-quality nodes will provide great pressure without bending out of shape or developing faults. The best massagers will have many different programmes which give you the flexibility to choose the setting that best matches your muscle issues. This allows you also experiment to find what works best to provide you with relief. 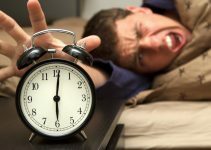 The best way to find the intensity and speed that is best for you is to start on the lowest setting and work your way up because if you instantly start on the highest setting, this can cause damage to your muscles as they may not be used to it. There are two different types of massager operation: electric and manual. Electrical units will either run on battery power or will require a mains outlet. Battery operated models allow for better portability so you can use on the move, whereas a mains powered outlet will often output stronger levels of massaging because it can handle more electrical power. A manual massager requires more effort but can be better at reaching specific areas with direct pressure. Prices will vary depending on the type of massager you opt for so the price can range anywhere from £10 to over £500. It’s important to value the long term use of this product when a professional massage can cost over £100 per session, but a massage chair will last for many years. Ultimately you need to buy the highest quality back massager that you can afford because back or neck pain is something you don’t want to live with without treating it effectively. Massage cushions and chairs are very affordable and will save you hundreds of pounds that you might otherwise spend on professional massagers or specialists. It's a better investment because you can get a massage whenever you need one instead of having to wait for a massage appointment, and they last many years so will comfortably pay back its investment. Massage chairs and cushions aren’t big and bulky so don’t take up much space. The chairs are roughly the size of a chair seat and backrest while a massage cushion is even smaller in size. This means that you can carry them around in a backpack so you can store them in your home with ease. Massage cushions and chairs are very versatile, so while they are mainly for the shoulders, neck and back, they can also be used for other areas of the body. All you need to do is put the cushion in a position that allows you to lean the target muscle onto the massaging mechanism to feel the relief. For example, massage cushions are great for foot massages; all you need to do is sit on a chair and put the cushion on the floor and apply pressure with your feet. This gives you a gentle and relaxing massage, and if the mechanism is too powerful for your feet, then you can either place a towel or piece of material to cushion the strength. Massage cushions can be easily transported from place to place, and even massage chairs can be folded up and moved. Most products are designed to have portability in mind so they can be moved around and then also stored away when they’re not in use. Massage cushions and chairs are often either battery operated or are supplied with car adaptors so you can connect it to your car's cigarette lighter to power it. This is great for people who spend a lot of time driving. It’s important to note that you shouldn’t use this while driving, so you need to pull over and take a break from driving while you use it. You can use a massage chair or cushion whenever you want, and it's massaging on demand. So, whether you’re watching TV, lying in bed or sat in the garden you can get a massage. It’s almost impossible to do this for massage services where you often need to book in advance. Because these units are often lightweight it means moving them to your desired location around your home isn’t difficult. The best massage chairs and cushions have a quiet operation, whereas older units will have a slightly louder noise. Some of the silent models are so quiet that at times you won't even realise that it’s on. 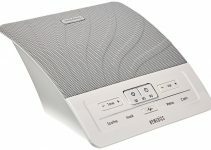 This makes it great if you want to use it discreetly such as when you’re at work, or if you’re watching tv or talking on the phone and don’t want it to disturb you. The most advanced massage chairs and cushions have inbuilt safety features to keep users safe. These features include overheating measures which mean that they will automatically turn off. These units will also be accredited as being safe by profession standards boards. So it’s easy to see that you are in a lucky position because there are several high-quality massagers and most aren’t just limited to massaging your neck and back but also other body parts. Massage chairs and cushions aren’t just great for relieving existing pain but also preventing it. So know you know the best massagers on the market, there’s no reason to put up with pain that can be treated.